SandhillsPT offers Aquatic Therapy services two days per week with Kara Wallace, PTA, whom holds an APTA Clinical Compentency in Aquatic Therapy. Aquatic Therapy is a specialized form of Physical Therapy utilizing properties of water to include buoyancy, viscosity and hydrostatic pressure. 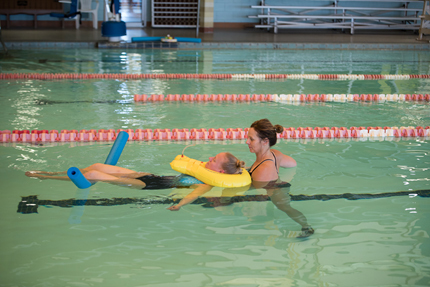 Patients of all ages with a wide variety of conditions can benefit from Aquatic Therapy. Water is a great environment to achieve full function, regardless of injury. 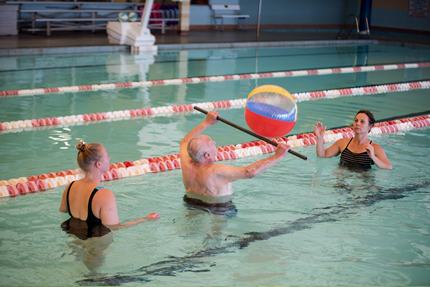 Patients do not need to be confident in the water or able to swim to be successful in Aquatic Therapy. Strength and functional gains obtained in the aquatic setting translate to improvements on land.